EXTREMELY ATHLETIC COLT, VERY HARD TO FAULT. BIG HIND-QUARTERS WITH A STRONG NECK AND A BIG DEEP GIRTH. Nicely bred colt out of a supreme international pedigree, he also has a double cross of Flying Spur. Extremely athletic colt and also very hard to fault. He has very good length furthermore fluent running, good looking colt and big hindquarters. This colt boasts a strong neck and above all big deep girth. Built for serious speed consequently very sharp looking colt and a precocious type. 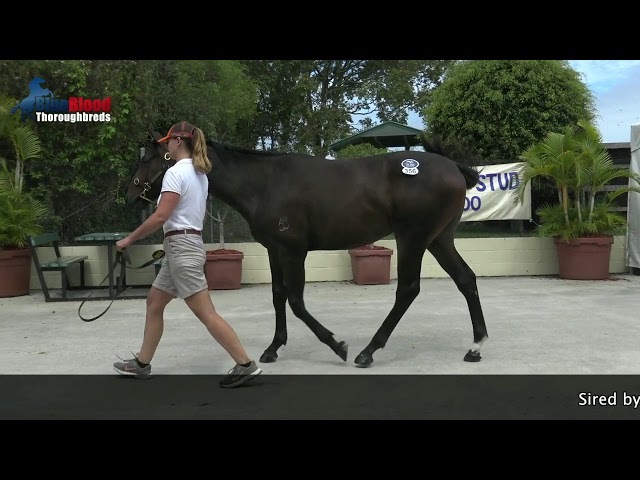 Anthony Freedman comment upon inspecting this colt, “Really thrilled to be training this Dissident colt for Blueblood’s. As you can see he is a lovely moving colt and I thought he was really well bought at the Magic Millions. His sire Dissident has had a promising start to his career. We will break in and educate this colt and get him to the races as a 2yo. I would also expect him to get better at 3 and 4 as did his father”. The Dissident has completed his educated at Evergreen Stud by astute breaker Gordon Pratt to insure he is ready to get up and go early. Gordon reported, “I am very pleased with the way he has broken in, he has picked up everything nicely. The colt is settled and relaxed when working on the track. No issues been very straight forward. He has a good nature which is a big plus for a colt. Could not be happier the way he broke in”. He is having a short spell before heading into pre-training. He will then go into Anthony Freedman’s stable to prepare for the early 2yo races. He has also passed 100% clean on his scope, x-ray and clinical examination. BLUSHING GROOM. 7 wins-5 at 2-from 1100m to 1600m, Longchamp Prix de la Salamandre, Gr.1, Deauville Prix Morny, Gr.1, Longchamp Poule d’Essai des Poulains, Gr.1, Grand Criterium, Gr.1, Maisons-Laffitte Prix Robert Papin, Gr.1, Longchamp Prix de Fontainebleau, Gr.3, 2d Deauville Prix Jacques Le Marois, Gr.1, 3d The Derby, Gr.1. Champion sire. BADGER’S DRIFT. 7 wins, South African Derby, Gr.1, Gosforth Park South African Classic, Gr.1, Greyville Daily News Two Thousand S., Gr.1, Gosforth Park Superior P., 2d Kenilworth Cape of Good Hope Derby, Gr.1, Newmarket Gauteng Guineas, Gr.2, 3d Newmarket Elevation S., Gr.2, 4th Kenilworth Cape Argus Guineas, Gr.1. Sire. ALWUHUSH. 5 wins from 2000m to 2400m, Santa Anita Carleton F Burke H., Gr.1, Rome Premio Presidente della Repubblica, Gr.1, Gran Premio di Milano, Gr.1, 2d Belmont Turf Classic H., Gr.1, Gelsenkirchen Aral Pokal, Gr.1, Belmont Tidal H., Gr.2, 3d Belmont Man o’ War S., Gr.1, Ascot Royal Lodge S., Gr.2, York Great Voltigeur S., Gr.2, Atlantic City Caesars International H., Gr.2, Goodwood Gordon S., Gr.3, Kempton September S., Gr.3. Sire. DISSIDENT was a champion sprinter on the race track. Australian’s best racehorse of the year. Impeccable track record being a 5 time group one winner. DISSIDENT is by SEBRING Champion 2YO Colt in Australia in 2007-08. 5 wins at 2. A multiple group one winner, STC Golden Slipper S., Gr.1, AJC Sires Produce S., Gr.1, Breeders’ P. He has 44 stakes winners (4 Group individual Group one’s), 49 stakes placegetters including Blueblood Thoroughbreds syndicated mare SEDANZA, 8 wins from 1400m to 2200m to 2017-18, A$786,221, 1st BRC Brisbane Cup., Gr.2, Scone Gold Cup., L.
DISSIDENT is out of DIANA’S SECRET a black type performer. His oldest progeny are 2yo. Annalee by High Chaparral is the half-sister to 2 stakes performers in MISS WITH ATTITUDE and OUI SI ATTITUDE. She also hails from some of the strongest sires in the studbook. This is her first foal. Champion Broodmare sire HIGH CHAPARRAL. Sire of 7 Group One winners. He has had 20 individual black type winners and earnings over $28 million. Anthony is the third eldest of racing’s famous freedman brothers. He has been an integral part of the vast Freedman Racing operation since the mid-1980’s. After Anthony completed Year 12 at Canberra Grammar, he joined his brother Lee and Richard, as an assistant, at Warwick Farm in 1983. He was part of the move to Melbourne and training out of the Flemington stables in 1984. Late in 1992, Anthony pioneered the Freedman brothers first foray interstate, when he opened a stable at Randwick. In that first year in Sydney he prepared Bint Marscay to win the 1993 Group One Golden Slipper Stakes at Rosehill. Anthony Freedman who has a keen eye for a yearling, is heavily involved in the yearling sales inspection process. 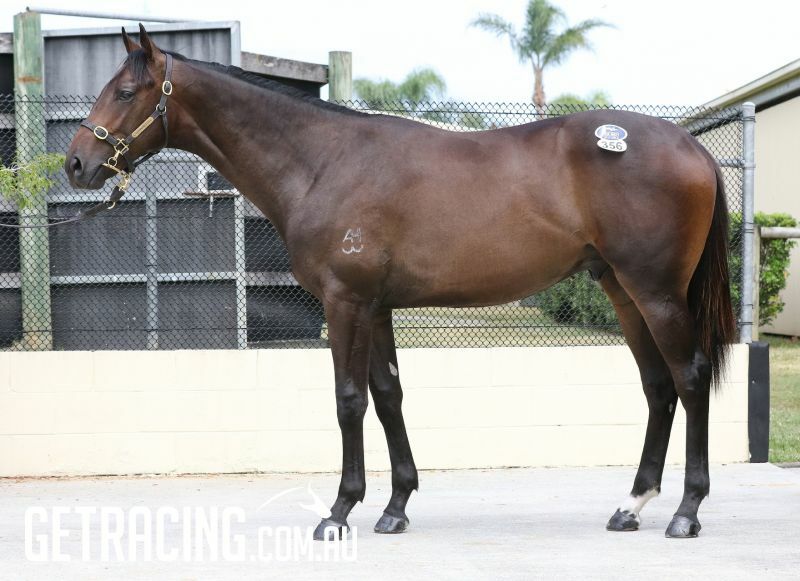 It was Anthony Freedman who selected and bought Naturalism as a yearling for only $35,000. He also selected Mummify for $60,000 and True Glo for $40,000 out of the Adelaide sales. Freedman Racing has produced 124 Group one winners, starting with Miss Clipper, who won the first in 1986. The record included five Melbourne Cups, four Caulfield Cups, Four Golden Slippers, Two Cox Plates, Eight Derby’s, Eleven Oaks, Three Newmarket’s and Seven Victorian Metropolitan Trainers Premierships. Eligible for the lucrative BOBS and BOBS Extra Schemes, $3.5 million Golden Slipper, $1.5 million Blue Diamond, $1 million Golden Rose and Blue Sapphire and nominated for the Magic Millions race series,. Share Price will Include – Purchase Price, Agistment, Nominations, X-Rays and Scoping, Mortality Insurance (12 months) and all other associated costs. Weekly budget for ongoing costs for a 2.5% share is $24.50. DISSIDENT (AUS) (Bay or Brown 2010-Stud 2015). 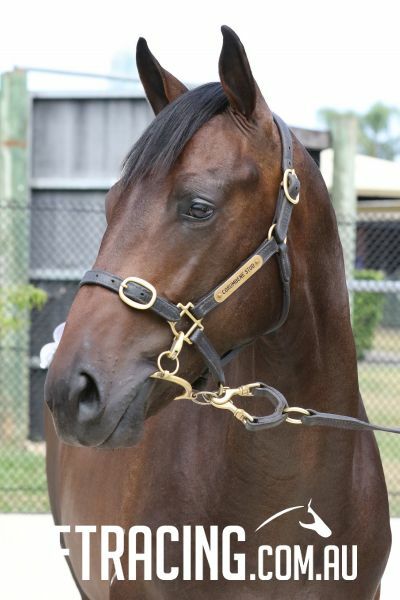 Horse of the Year in Australia in 2014-15. 7 wins-1 at 2-from 1000m to 1600m, A$2,021,200, ATC All Aged S., Gr.1, Randwick Guineas, Gr.1, VRC Makybe Diva S., Gr.1, MRC Memsie S., Gr.1, CF Orr S., Gr.1, ATC Hobartville S., Gr.2, 2d ATC Golden Rose S., Gr.1. Out of SP Diana’s Secret. Sire of SP Challa, Foxborough and of Louis Luck, Outlandos and of the placegetters Bigboyroy, Disruptor, Just Cosmos, Kallie, Shake That Tush, etc. His oldest progeny are 2YOs. ANNALEE, by High Chaparral (Ire). Unraced. Half-sister to Miss With Attitude, Oui Si Attitude. This is her first foal. Plagiarist. Winner at 1400m in 2018-19, 2d ATC Wyong Magic Millions H., 3d ATC Right2drive H., ANZ Bloodstock News H.
So We Are (f So You Think) 2 wins at 1200m, 1400m in 2018-19, SAJC Adelaide Galvanising H., 2d SAJC Laelia S., L, Barossa Fine Foods H.
Go Straightandhard. 2 wins at 1400m, 2050m to 2018-19 in Aust. Miss Otto. Winner at 1400m in Aust. Helmara. 2 wins at 1000m in 2017-18, 2d SAJC Panto Zecevich P.
Back to Front. 13 wins from 1700m to 2400m, Milan Premio Maloja, Premio Il Cavalo e l'Uomo, Premio Brenno, Premio Vimodrone, Premio Dogliani. Sizzie 'em. 2 wins. See above. SHERBAZ (c Wolver Hollow) 4 wins-2 at 2-at 1400m, 2000m, Deauville Prix des Foals, L, 3d Longchamp Prix La Rochette, Gr.3. HAMISH MCGONAGALL (g Namid) 10 wins-1 at 2-to 5½f, £344,661, €88,519, York City Wall S., L, 2d York Nunthorpe S., Gr.1. SANS ADIEU (f French Deputy) 8 wins to 1400m, 242,124,000¥, Hanshin Centaur S., Gr.2, Kyoto Keihan Hai, Gr.3, Niigata Ibis Summer Dash, L, Kyoto Kibune S., Nakayama Urayasu Tokubetsu, 2d Nakayama Sprinters S., Gr.1. KHAFOO SHEMEMI (c Dark Angel) 4 wins-1 at 2-from 6f to 1m, Sandown Heron S., L, Fortune S., L.
WATCH ME (f Olympic Glory) 2 wins-1 at 2-at 1400m, 1600m to 2019, Maisons-Laffitte Prix Imprudence, Gr.3, Toulouse Grand Criterium du Languedoc, L, 3d Saint-Cloud Prix Barquette. MUNSEF (g Zafonic) 8 wins from 9f to 13½f, £230,098, 250,000Kr., Newmarket Godolphin S., L, 2d Newmarket Jockey Club S., Gr.2. TEKKEN (c Nureyev) 4 wins-1 at 2-at 8½f, US$258,495, Gulfstream Park Super Bowl S., L, 2d Garden State Jersey Derby, Gr.2. Sire. BEBE CHERIE (f Youmzain) 2 wins at 2400m, 2800m in France and Germany, Hoppegarten Grosser Preis des MHWK, L, 3d Hoppegarten Oleander Rennen, Gr.3. ENCKE (c Kingmambo) Head of the 2012 WTR (Ext.). Champion 3YO Stayer in Europe in 2012. Champion 3YO Stayer in GB in 2012. 3 wins-1 at 2-from 1m to 14¾f, £375,330, €27,000, The St Leger, Gr.1, Sandown Coral for Mobile Betting H., Newmarket British Stallion Studs Supporting British Racing 2YO S., 2d Goodwood Gordon S., Gr.3, Glorious S., Gr.3, Doncaster Green Desert 2YO S., 3d Irish St Leger, Gr.1, York Great Voltigeur S., Gr.2, Ascot Cumberland Lodge S., Gr.3. 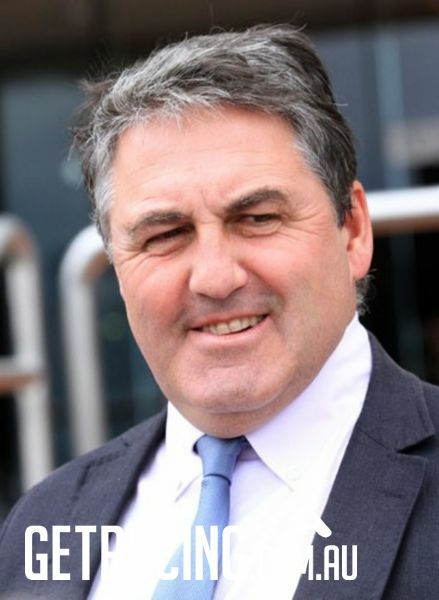 GENIUS BEAST (g Kingmambo) 2 wins-1 at 2-at 8¼f, 1¼m, Sandown Classic Trial S., Gr.3, 3d Longchamp Prix Hocquart, Gr.2, Doncaster Crownhotel-Bawtry.com 2YO S., 4th York Great Voltigeur S., Gr.2. SHARETA (f Sinndar) 5 wins from 2000m to 2500m, £175,801, €1,382,535, US$90,000, 367,000Dhs, Yorkshire Oaks, Gr.1, Longchamp Prix Vermeille, Gr.1, Deauville Prix Minerve, Gr.3, Longchamp Prix de Thiberville, L, Chantilly Prix de la Chapelle en Serval, 2d Longchamp Prix de l'Arc de Triomphe, Gr.1, Grand Prix de Saint-Cloud, Gr.1, Saint-Cloud Prix Corrida, Gr.2, Prix Astronomie, Prix Tenebreuse, 3d Longchamp Prix Vermeille, Gr.1, Chantilly Prix Allez France, Gr.3. KATTIMORE (c Everynsky) 6 wins in India, Bangalore Chief Minister's Trophy, L-3 times, Governor's Cup, L.